Coopers Pond is a community located in Lawrenceville, Georgia. It can be found on Five Forks Trickum Road near Oak Road and Ronald Reagan Parkway. It is very close to Ronald Reagan Park , 25 acre county park offering a playground, horseshoes, shuffleboard, and a 3/4 mile multi purpose trail. Coopers Pond is a well maintained subdivision featuring traditional brick homes, a lake perfect for canoeing, community swimming pool, clubhouse, tennis courts, a childrens playground, underground utilities, and street lights throughout the subdivision. 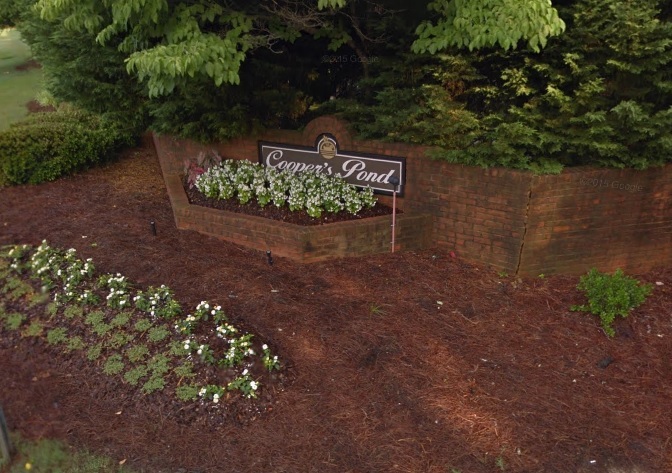 Coopers Pond is located in the highly desirable Brookwood School District. Coopers Pond is served by the Gwinnett County School System. Brookwood High, Five Forks Middle, and Gwin Oaks Elementary are the schools zoned for the community. The homes available for sale in Coopers Pond Subdivision are listed below.